Under the new flexible pension freedoms rules, you can now mix and match various options, using different parts of one pension pot or using separate or combined pots. It’s important to check with your pension scheme or provider whether there are any restrictions or charges for changing your retirement date, and the process and deadline for telling them. Also check that you won’t lose any income guarantees – for example, a guaranteed annuity rate (GAR) – by delaying your retirement date. The value of pension pots can rise or fall. Remember to review where your pot is invested as you get closer to the time you want to retire and arrange to move it to less risky funds if necessary. If you want to delay taking your pot but your scheme or provider doesn’t have this option, obtain advice and shop around before moving your pension. The longer you delay, the higher your potential retirement income. However, this could affect your future tax and your entitlement to benefits as you grow older, for example, long-term care costs. You could instead delay taking some of your pension. For example, you might be able to arrange to retire gradually, or change to working part-time or flexibly and then draw part of your pension. If you want your pot to remain invested after the age of 75, you’ll need to check with your pension scheme or provider that they will allow this. If not, you might need to transfer to another scheme or provider who will. If the total value of all your pension savings when you die exceeds the lifetime allowance (currently £1 million), further tax charges will be payable by the beneficiary. You can choose to take up to 25% of your pension pot as a one-off tax-free lump sum, then convert the rest into a taxable income for life called an ‘annuity’. A lifetime annuity is a type of retirement income product that you buy with some or all of your pension pot. It guarantees a regular retirement income for life. You can also choose to provide an income for life for a dependent or other beneficiary after you die. Lifetime annuity options and features vary – what is suitable for you will depend on your personal circumstances, your life expectancy and your attitude to risk. 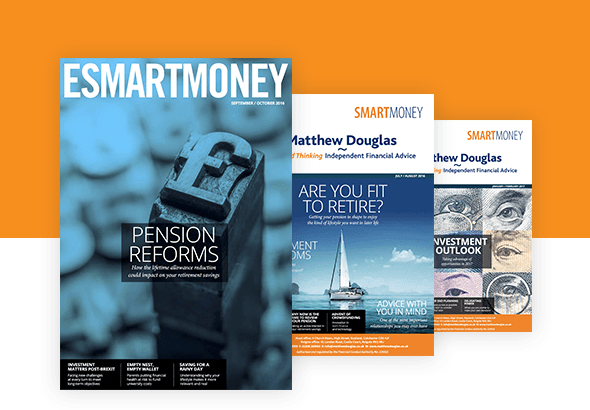 You can normally choose to take up to 25% of your pension pot – or of the amount you’re allocating to buy an annuity – as a tax-free lump sum. This retirement income from an annuity is taxed as normal income. Typically, the older you are when you take out an annuity, the higher the income (annuity rate) you’ll get. Basic lifetime annuities offer a range of income options designed to match different personal circumstances and attitude to risk. Your choices affect how much income you can receive. Also where you expect to live when you retire may affect how much income you get. Investment-linked annuities also pay you an income for life, but the amount you get can fluctuate depending on how well the underlying investments perform. If the investments do well, they offer the chance of a higher income. However, you have to be comfortable with the risk that your income could fall if the investments don’t do as well as expected. All investment-linked annuities guarantee a minimum income if the fund’s performance is weak. With investment-linked annuities, you can also opt for joint or single annuity, guarantee periods, value protection and higher rates if you have a short life expectancy due to poor health or lifestyle. However, not all providers will offer these options. With flexi-access drawdown, when you come to take your pension, you reinvest your pot into funds designed to provide you with a regular retirement income. This income may vary depending on the fund’s performance, and it isn’t guaranteed for life. Unlike with a lifetime annuity, your income isn’t guaranteed for life – so you need to manage your investments carefully. You can normally choose to take up to 25% of your pension pot as a tax-free lump sum. You then move the rest into one or more funds that allow you to take a taxable income at times to suit you. Increasingly, many people are using it to take a regular income. You choose funds to invest in that match your income objectives and attitude to risk and set the income you want. The income you receive might be adjusted periodically depending on the performance of your investments. Once you’ve taken your tax-free lump sum, you can start taking the income right away or wait until a later date. You can also move your pension pot gradually into income drawdown. You can take up to a quarter of each amount you move from your pot tax-free and place the rest into income drawdown. You can at any time use all or part of the funds in your income drawdown to buy an annuity or other type of retirement income product that might offer guarantees about growth and/or income. Flexi-access drawdown is a complex product so it’s important to obtain professional financial advice to discuss the options available. You need to carefully plan how much income you can afford to take under flexi-access drawdown, otherwise there’s a risk you’ll run out of money. If you choose flexi-access drawdown, it’s important to regularly review your investments. Not all pension schemes or providers offer flexi-access drawdown. Even if yours does, it’s important to compare what else is on the market, as charges, the choice of funds and flexibility might vary from one provider to another. Any money you take from your pension pot using income drawdown will be added to your income for the year and taxed in the normal way. Large withdrawals could push you into a higher tax band, so bear this in mind when deciding how much to take and when. If the value of all of your pension savings is above £1 million when you access your pot (2017/18 tax year), further tax charges might apply. If the value of your pension pot is £10,000 or more, once you start to take income, the amount of defined contribution pension savings which you can get tax relief on each year falls from £40,000 (the ‘annual allowance’) to £4,000 (the Money Purchase Annual Allowance or MPAA). If you want to carry on building up your pension pot, this might influence when you start taking income. You can nominate who you’d like to receive any money left in your drawdown fund when you die. You don’t have to choose one option when deciding how to access your pension – you can combine your options as appropriate, and take cash and income at different times to suit your needs. The choices you face when considering taking some or all of your pension pot are very complex, and you should obtain professional advice to assess your best option or combination of options.